The Tertia M.C. Hughes Graduate Student Prizes are awarded to graduate students who are, or were within 16 months preceding the nomination deadline, registered at a Canadian university or Canadian students registered at a foreign university for contributions of special merit . The awards are prizes of $500. for each recipient. There are up to two prizes per year. Graduate student prizes have been presented since 1967, the inaugural year of the Canadian Meteorological Society. In the early years (1966 to 1976), the Graduate Student Prize, as it was known, was awarded for work in meteorology. Thereafter, it was awarded for work in meteorology or oceanography. The Tertia M.C. Hughes Memorial Graduate Student Prize was first awarded in 2000. In 2008, the two awards were merged. The following are extracts from her biography. Atmospheric and ocean scientist, extraordinary graduate student. In 1989, Tertia was awarded an Honours BSc in Physics and Mathematics at the University of Ottawa, with great distinction. She also won the science faculty's silver medal for academic excellence, given to the student with the top marks in all areas of science. In 1987 and 1988, she worked with Dr. Michel Leclerc at the Institut National de la Recherche Scientifique-Eau (INRS) of Université du Québec. Tertia arrived at McGill University in 1989 holding an NSERC (Natural Sciences and Engineering Research Council) postgraduate fellowship, after refusing a McGill Women's Centennial Fellowship because she felt that gender discrimination should never be a factor in academic achievement. She studied numerical methods in atmospheric and oceanic sciences. 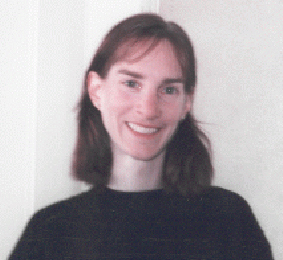 In 1992, Tertia moved to the University of Victoria's School of Earth and Ocean Sciences to continue her PhD studies. With support from major national fellowships, Tertia examined ocean circulation and atmosphere-ocean interactions, completing her thesis in 1995. In January 1996, Tertia moved to Princeton University to work with Prof. Jorge Sarmiento. She immersed herself in her new job with the same enthusiasm, energy and dedication that she had shown in her graduate and undergraduate days. Upon hearing the news of Tertia's death in 1998, the response from scientists around the world was overwhelming. Because she died so young, her further successes were lost and will be missed by the world scientific community. The Canadian Meteorological and Oceanographic Society (CMOS) has named its Graduate Student Prize "The Tertia MC Hughes Memorial Graduate Student Prize" in her honour. The Prize includes a financial award from contributions received from friends and CMOS members. The first award was made at the 2000 CMOS congress in Victoria, B.C.